Usain Bolt scored twice in his first start for the Central Coast Mariners in an A-League trial match on Friday in Sydney, Australia before being substituted with about 15 minutes remaining. 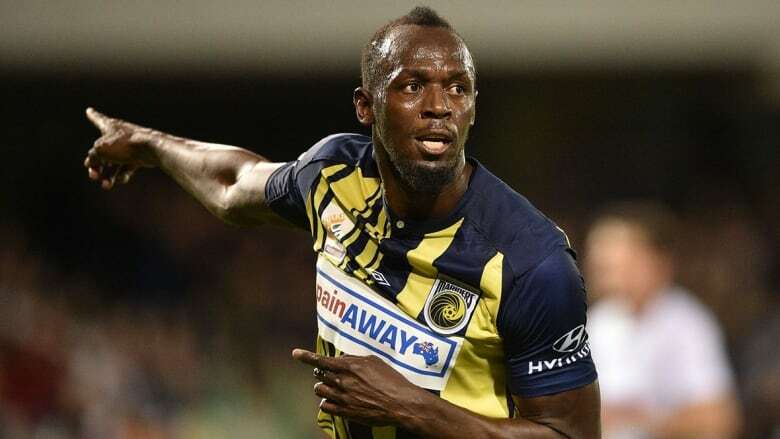 Usain Bolt scored twice in his first start for the Central Coast Mariners in an A-League trial match on Friday before being substituted with about 15 minutes remaining. The retired eight-time Olympic gold medallist sprinter is trying to secure a place with the Mariners for this season, which begins for the Mariners on Oct. 21 against the Brisbane Roar. "My first start and scoring two goals, it's a good feeling," Bolt told Fox Sports television. "I'm happy I could come here and show the world I'm improving. I'm keen to be a Mariner, and get into the team." Bolt was in the starting lineup against a second-tier National Premier League combined team representing Sydney's southwest region. It's Bolt's first serious foray into football since retiring from athletics last year. He has trained with teams in Norway, South Africa and Jamaica, and had a much-publicized training stint with Bundesliga side Borussia Dortmund in March.